After the success of the 1st edition, the Italian Design Day has returned, involving both the public and private sectors who represent high-quality Italian design. It is promoted by the Italian Ministry of Foreign Affairs and International Cooperation, and in collaboration with the Ministry of Cultural Heritage and Activities and Tourism, la Triennale in Milan, ICE (Italian Trade Agency), Salone del Mobile in Milan, ADI (Italian Association for Industrial Design), Compasso d’Oro Foundation and Altagamma Foundation. The 2018 Italian Design Day was dedicated to the relationship between design and sustainability, from an economic, social and environmental point of view. The day – aiming to investigate the link between design, people and the environment – was celebrated on 1st March, 2018 in over 100 cities around the world thanks to the efforts of Embassies, Consulates and Italian Cultural Institutes. Conferences, promotional events, exhibitions and meetings were organized with “ambassadors” of Italian Design – architects, designers, academics, entrepreneurs, critics, communicators – to present the relations between design and sustainability. 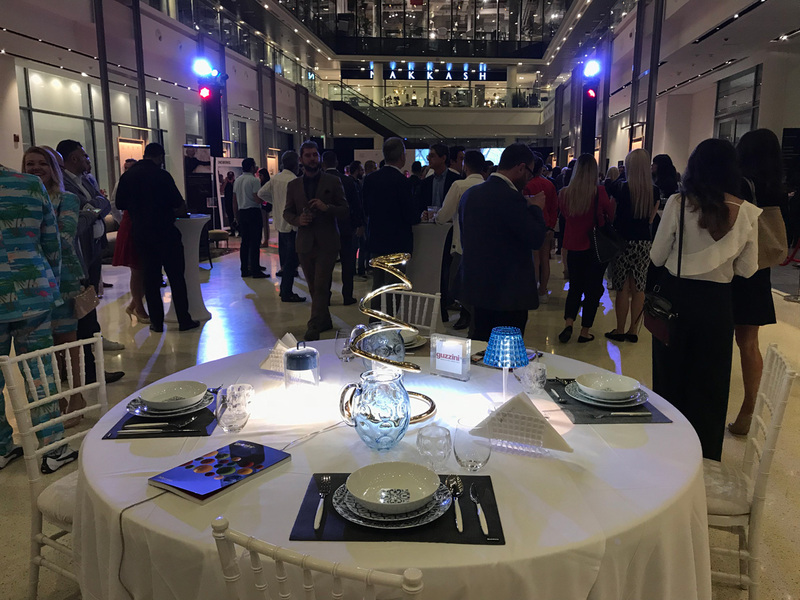 iGuzzini actively contributed to the initiative by exhibiting light fixtures and illuminating exhibitions hosted by several cities worldwide, such as Paris, Dubai, Tunis and Mexico City. Among the design products showcased by iGuzzini we can mention those representing the early production phase of the company, like Cespuglio (designed by Ennio Lucini, 1969) and Piccola (designed by Gio Ponti, 1968), as well as archetypes of the lighting industry such as: UFO (designed by iGuzzini, 1976), Cestello (designed by Gaia Aulenti e Piero Castiglioni, 1988), Lingotto (designed by Renzo Piano, 1990), PizzaKobra (designed Ron Arad, 2007) and the latest award-winning Laser Blade XS, also known as “The Blade”. 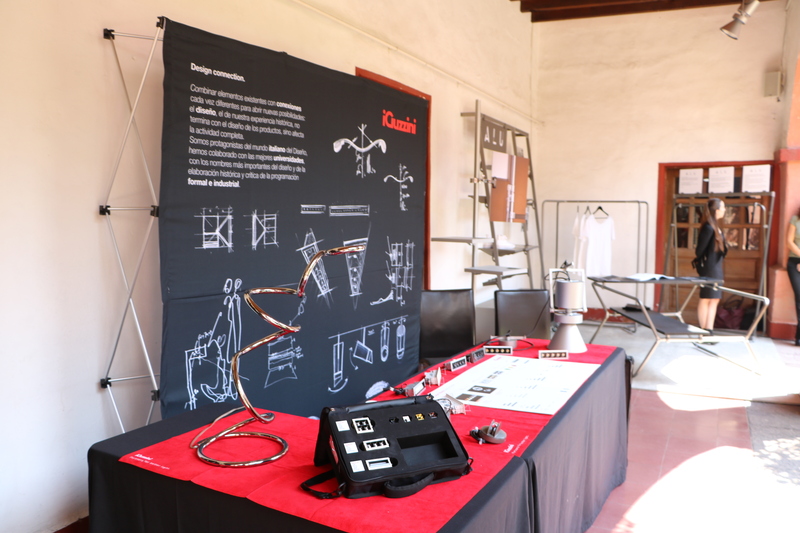 Research in industrial design has developed in Italy through a continuous dialogue between design schools and artistic trends, linking the strong Italian artisan tradition with technological innovation. iGuzzini is proud to be an active player in the evolution and transformation of design - intended as the application of innovative research technologies and the study of new materials and solutions, one of the company’s main strengths since its foundation. During the fifties the company challenged the industry norms by collaborating with important designers, such as: Luigi Massoni, Fabio Lenci, Gio Ponti, Roters and Joosten, Makio Hasuike, Tomoko Tsuboi, Masamori Umeda and Yoshiko Hasebe. Thanks to this innovation and design oriented approach, iGuzzini won several awards over the years, including the Compasso d'Oro ADI (for Nuvola, 1998) and several mentions as part of the Compasso d'Oro ADI (Le Perroquet, 2001; Wow, 2014; Zeta-C, 2014). In 2016, iGuzzini received the iF Design Award (Laser), the Red Dot Design Award (Fiamma) and the Compasso d'Oro Honorable Mention (Trick). In 2017, the company won the iF Design Award (View), the Red Dot Design (Lander, View), the Luminaire Of The Year at the Lighting Design Awards (Laser Blade XS "The Blade"), the ADI Design Index Innovation Award and the Premio dei Premi - Italian design category (both for Palco Low Voltage). The most recent award is the Design Plus Award Light + Building received for Walky and The Blade.